Place 1 cup of sunflower seeds in a bowl. Pour in enough water to cover the seeds completely. Add 1/3 cup salt and stir to mix. Some water is absorbed in the sunflower seeds, which will help prevent them from becoming too dry while roasting. Leave the seeds to soak overnight. Drain the seeds and pat dry with some paper towels. Preheat your oven to 300 F. Line a baking sheet with parchment paper and spread the seeds in a single layer. Roast the seeds for 30 to 40 minutes, stirring the seeds occasionally to ensure that they roast evenly. They can burn quickly, so keep an eye on them. The shells will develop a slight crack down the middle. Remove from the oven and let the seeds cool on the baking sheet. Store them in an airtight container. Enjoy, but clean up your shells! In a large bowl, cream together sugar, brown sugar and butter until smooth. Beat in eggs, one at a time, then stir in vanilla. In a separate bowl, combine the flour, baking powder, and baking soda. Stir into the creamed mixture, just until blended. 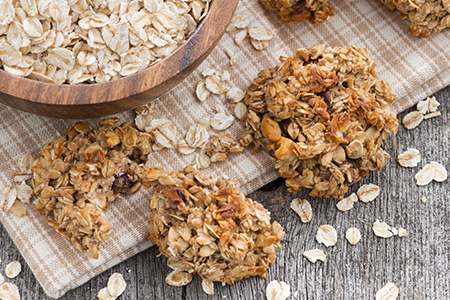 Mix in rolled oats, sunflower seeds and coconut. Drop tablespoon of dough onto ungreased cookie sheet. Do not crowd, leave room for spreading. Bake for 10-12 minutes, or until cookies begin to brown around the edges. Allow cookies to set for a few minutes on the cookie sheet before removing to wire racks to cool completely.